"Professional Entertainment Services Est. 27 Years"
We have been providing professional mobile discos and entertainment services for 23 years and pride ourselves on being the 'most requested company' in the area. We have an unblemished record and reputation for quality, reliability and value, helping make sure that all of our customers have a great party! We can provide mobile disco entertainment for all celebrations, from a kids party to a golden wedding anniversary. 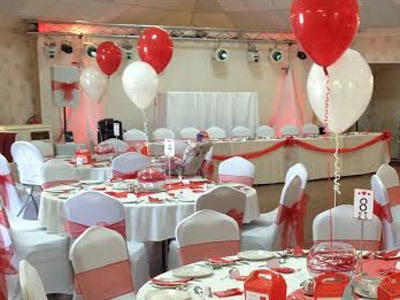 We have shows of different sizes and costs to suit any venue or budget along with a comprehensive range of party themes. We have a huge selection of effect options that can be added to your 'standard disco' to make your entertainment extra-special and unique to you. We don't just do mobile discos - take a look at our 'additional services' for the range of extra products available through Ultrasound Disco. All of our DJs have worked with us for a long time and we use them because they are very good at the job they do. They are polite, professional, smart, reliable and very hard working. What they all excel at is being able to judge or 'read' an audience and choose a music style to suit. We take our feedback from the dancefloor, so if nobody is dancing we will change the style of music. We happily take and play requests prior to and during a party to try to keep everyone 100% happy. All of our DJs carry many thousands of tracks, so we should always have your favourite style, genre or era of music. Required by many venues, Ultrasound Events has a current PLI policy with Mobile DJ Network in the amount of £10 million. Also required by many venues, Ultrasound Events has supplied satisfactory evidence of holding current PAT inspections of their equipment dated within the last 12 months. A Method Statement outlining Ultrasound Events&apos; Health & Safety procedure for setting up disco equipment has been provided. Ultrasound Events has provided Risk Assessments undertaken at events sourced via needadisco.com, indicating that they can undertake these competently. Why do people choose to book Ultrasound Events? "Didn't have a DJ Got the touchscreen juke box's that came with lights and a fog machine. Absolutely love the juke box, me and guests got to pick our own songs to dance to would get this again . " "Trevor was a true professional. I arrived to my party 15 mins early and everything was already set up and ready to go. He interacted with all my guests and was very friendly to deal with. No request was to much and he even entertained the kids for half an hour with some limbo dancing whilst my guests were arriving!! Look no further Trevor is your man, very highly recommended!" "Thank you for the lovely feedback - we are very happy that our DJ made your party extra special and you had a memorable celebration - Congratulations from the Ultrasound Events team"
"Trev was very friendly and helped us with the timings of the evening making sure it went smoothly, enjoyed by all, would use again and definitely recommend." "Trev provided outstanding entertainment appealing to young and older alike. The haze machine and laser show was amazing. 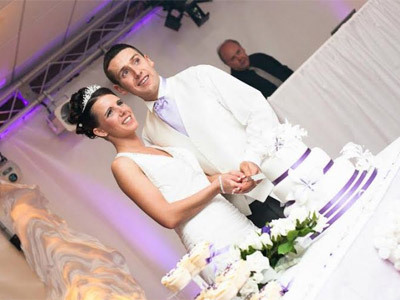 A really friendly man we will definitely use again"
Ultrasound Events also offers a range of additional party services not directly linked to musical entertainment. 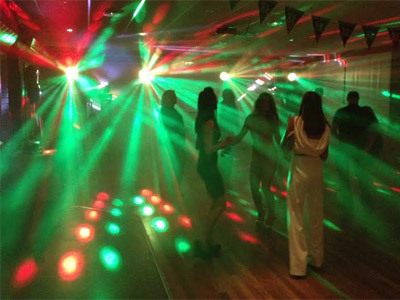 Get FREE no-obligation disco quotes from Ultrasound Events and other DJs covering your venue. Take 2 minutes to fill in some basic details and we'll do the rest! If you are contacting Ultrasound Events about an event, it's always a good idea to include the DATE, LOCATION, EVENT TYPE, AGE GROUP and TIMINGS to speed things up!